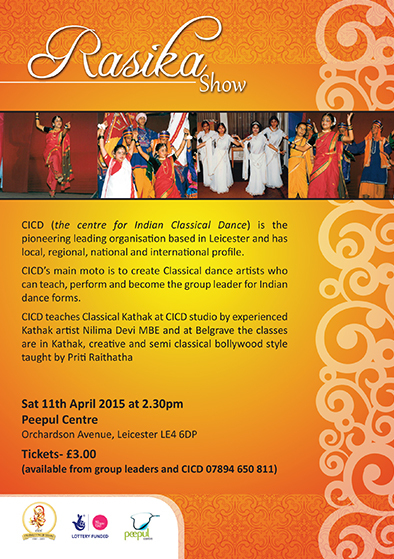 The Centre for Indian Classical Dance will present ‘RASIKA’, a special event with special people dancing at the Peepul Centre on Orchardson Avenue in Leicester LE4 6DP, on Saturday 11th April 2015, starting at 2-30 pm. CICD's artistic director and Kathak exponent Nilima devi will be conducting a Kathak workshop at Peepul Centre from 4pm to 5pm along with other dance and music workshops. 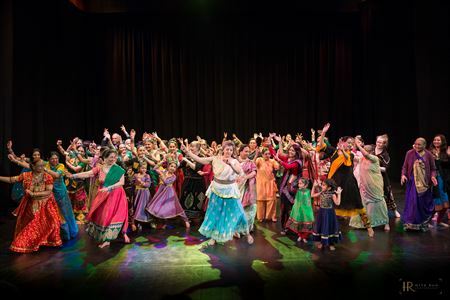 This will be followed by a talk on Sangeet /dance as a meditation or sadhana by Ustad Dharambir Singh and 6 to 7 pm performances by young people in the foyer. 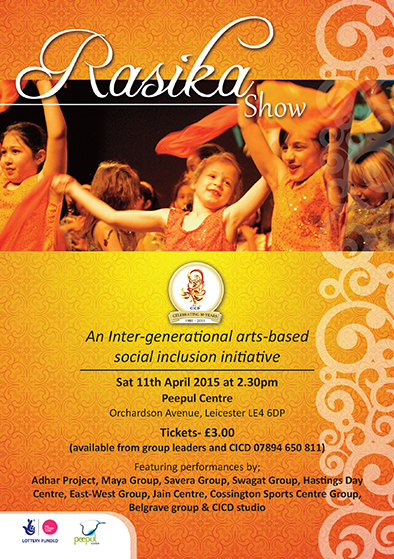 At 7-30pm main event at the theatre will be performed by professional dancers and musicians. This is a life long continuous process & CICD believes in educating people in schools & communities through various projects & workshops for all ages & abilities. Please click on the link below for our education pack.